Schedulicity and Bookfresh are enticing appointment management applications, but ongoing monthly fees are annoying and they can get expensive. When a client asked me to research a way for her to schedule phone consultations online via her Website, I started looking at alternatives to subscribing month-to-month for an online appointment booking service. Being a WordPress advocate, I knew there must be a ton of plugins that would do the job for free or for a flat fee, one-time purchase. 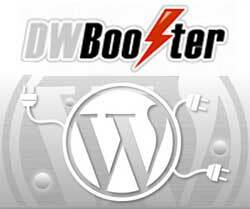 DWBooster’s Appointment Booking Calendar merits my final stamp of approval as a great alternative, providing a free version and a Pro upgrade priced at $49.95. Appointment Booking Calendar is a WordPress plugin that will permit you to accept payment and book online reservations for available time-slots in your appointment calendar. The booking form is easily linked to your PayPal payment account. You can use it to accept bookings for salons, phone consultations, classroom events, transportation or any other type of activity where a specific and limited time segment must be selected. It also allows you to define the maximum number of bookings that can be accepted for each time-slot. Click for a complete list of features and a comparison of the free vs the Pro versions. If you are seeking to book daily reservations in a hospitality lodging environment, their Booking Calendar Contact Form plugin enables you to create a classic contact form or a booking form with a reservation calendar, optionally connected to a PayPal payment button. The reservation calendar lets the guest select their check-in and checkout dates. There are two types of bookings available in the calendar configuration: full-day bookings or partial-day bookings. With full-day bookings the whole day is blocked as reserved, while in partial-day bookings, the start and end dates are partially blocked as needed for example in room or hotel bookings. If you need help installing and configuring these plugins, we are just a phone call 920.256.9449 or an email away.